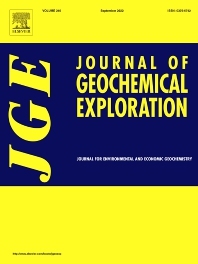 JGE: a journal for map-based geochemistry. To create a platform for the repository of map-based geochemistry data, a new section entitled "For the record", is designated for publishing stand-alone geochemical mapping results. In order to manage manuscripts from all fields of study, the chief editors have divided the journal into topical sections: studies related to geoinformatics, geochemical exploration (excluding petroleum and organic geochemistry), geochemical baseline mapping, urban geochemistry, and map-based environmental geochemistry, including site characterization and remediation, are managed by Prof. Stefano Albanese; studies involving applications of geochemistry to ore genesis, the environment and to human health, geochemical distribution processes in mineralized areas affecting the surface environment, and geochemometrics are managed by Dr. Robert Ayuso. To further help in the delivery of high quality papers covering the breadth of themes to the journal, associate editors are assigned to individual papers within their own expertise from either editor.